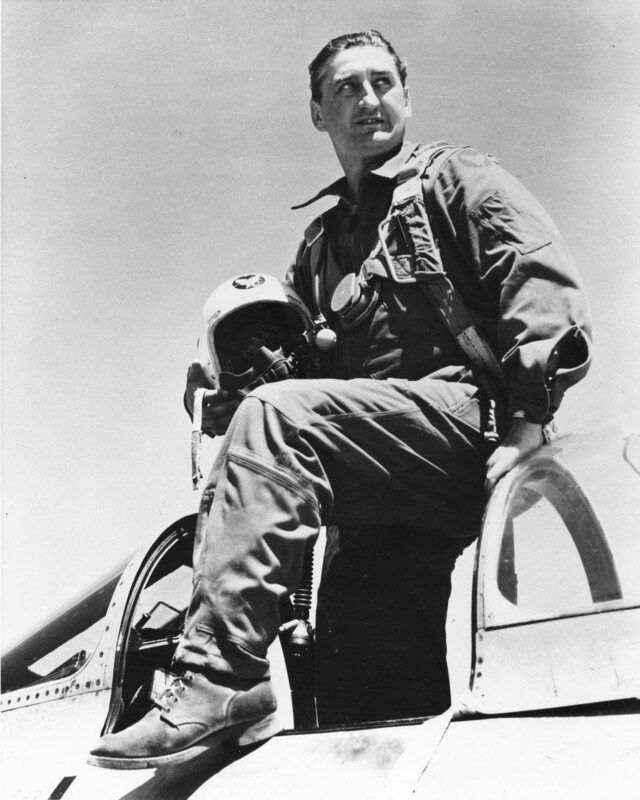 28 January 1919: Colonel Francis Stanley (“Gabby”) Gabreski, United States Air Force, was born at Oil City, Pennsylvania. He was the second child of Stanislaw Gabryszewski, a railroad car repairer, and Jozefa Kapica Gabryszewsky, both immigrants from Poland. He attended Oil City High School, graduating in 1938. 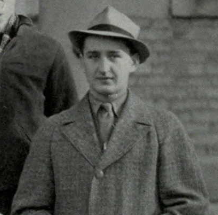 After two years of study at the University of Notre Dame, on 28 Francis S. Gabreski enlisted as a Flying Cadet, Air Corps, United States Army, at Pittsburgh, Pennsylvania. He was 5 feet, 8 inches (172.7 centimeters) tall and weighed 146 pounds (66.2 kilograms). After completeing flight training, on 14 March 1941, Gabreski was commissioned as a second lieutenant, Air Reserve. Lieutenant Gabreski was assigned as a fighter pilot with the 45th Pursuit Squadron, 15th Pursuit Group, at Wheeler Army Airfield, Territory of Hawaii. He flew Curtiss P-36 Hawks and P-40 Warhawks. Whiel at Wheeler, Gabreski met his future wife, Miss Catherine Mary Cochran. They planned to marry, but this was delayed when the Imperial Japanese Navy attacked Hawaii on 7 December 1941. On 1 March 1942, Gabreski was promoted to first lieutenant, Air Corps, Army of the United States (A.U.S. ), and then to captain, 16 October 1942. 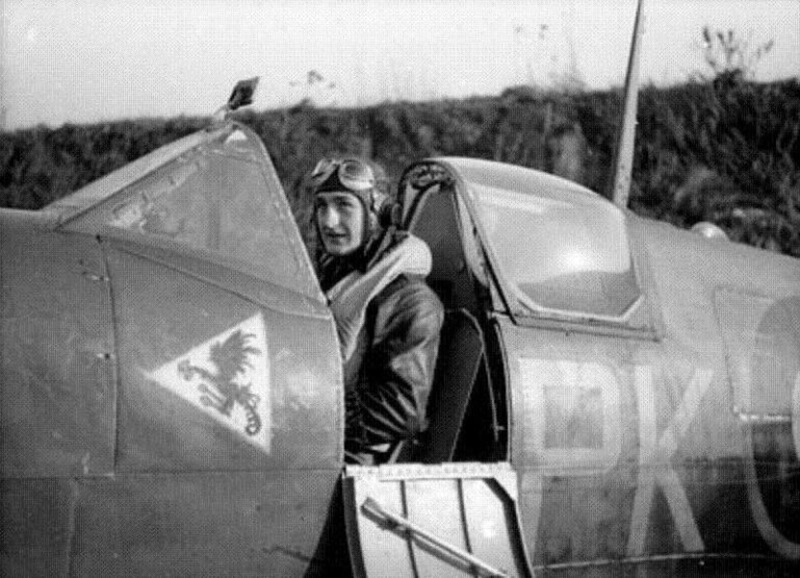 Captain Gabreski was sent to Britain with the 56th Fighter Group. 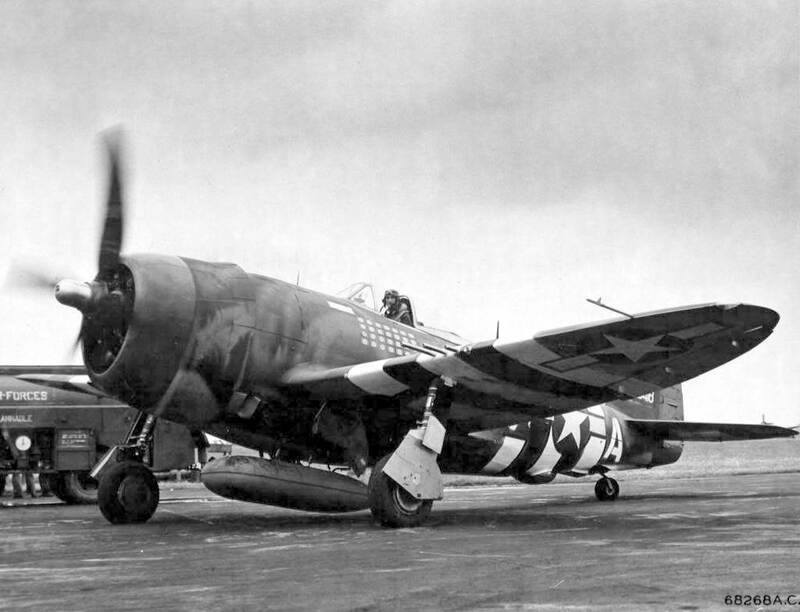 As American involvement in the European Theater increased, “Gabby” returned to the 61st Fighter Squadron, 56th Fighter Group, and flew the Republic P-47C Thunderbolt. He was promoted to the rank of Major, 19 July 1943. Major Gabreski was promoted to the rank of lieutenant colonel, 23 January 1944. 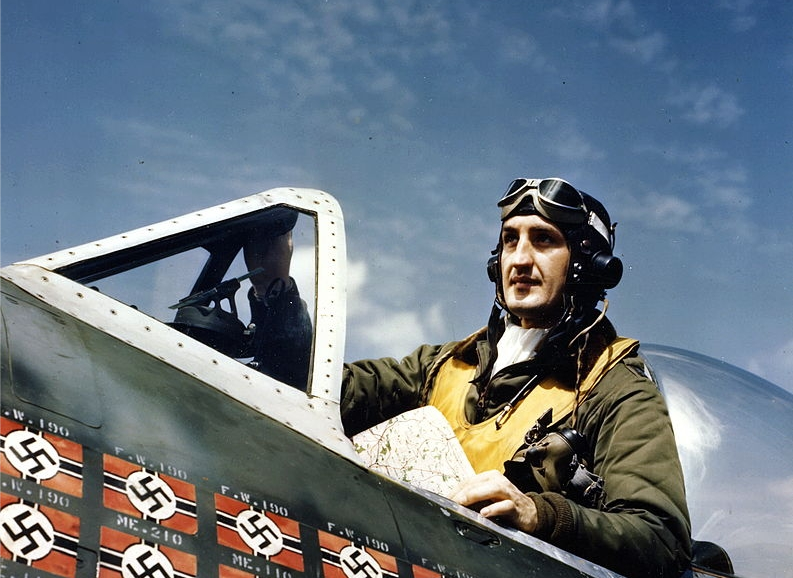 He took command of the 61st Fighter Squadron on 13 April 1944. 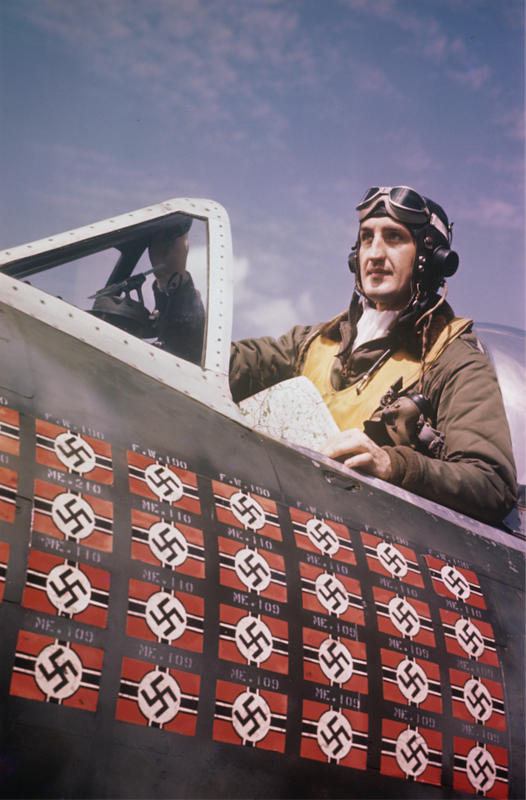 By July 1944, he had shot down 28 enemy fighters in aerial combat and destroyed another three on the ground, making him the leading American fighter ace up to that time. 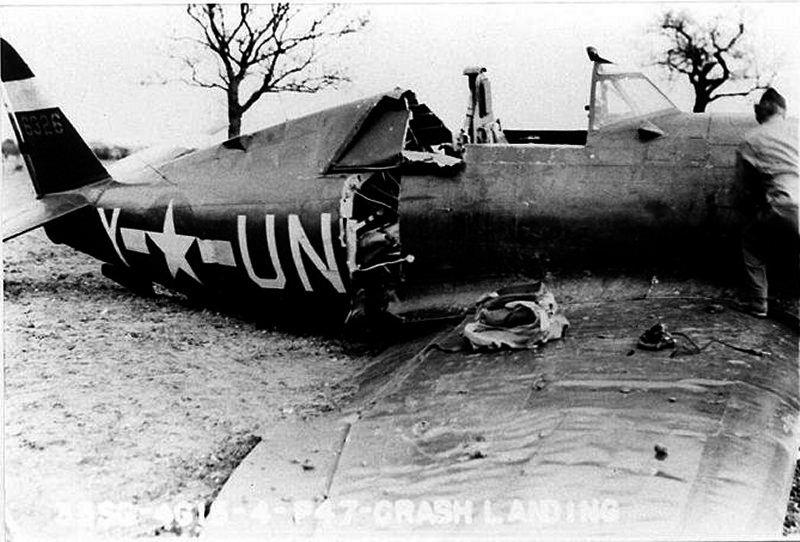 Having 193 combat missions and waiting transport to the United States, on 20 July 1944 Gabreski decided to take “just one more.” As he made a low strafing run across an enemy airfield near Bassenheim, Germany, the tips of his propeller blades hit the ground, causing a severe vibration. He put his Thunderbolt down on its belly, climbed out and ran to avoid being captured. He was caught after evading the enemy for five days, and was held as a Prisoner of War at Stalag Luft I until April 1945. Gabreski was promoted to the rank of Colonel, Army of the United States, 24 October 1945. He was released from active duty in September 1946. 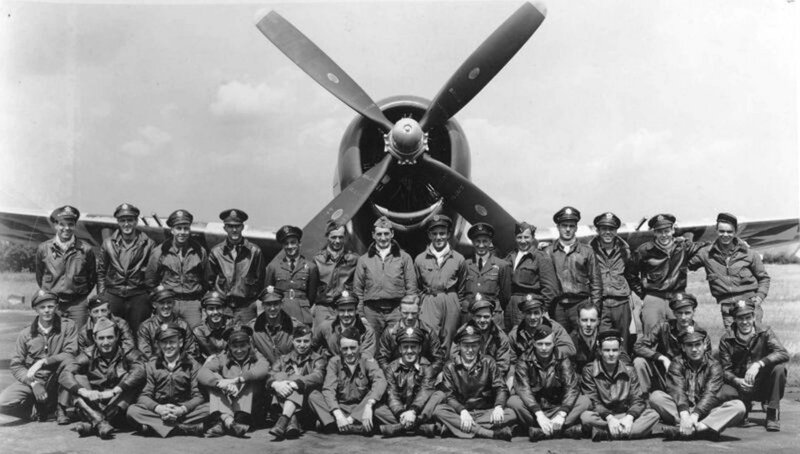 He then joined the Air National Guard with the rank of Lieutenant Colonel, 6 December 1946. 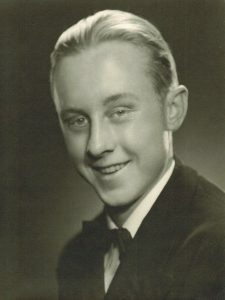 Gabreski resumed his college education, enrolling as one of the first students at the School of General Studies of Columbia University in 1947. He graduated with a bachelor of arts degree (B.A.) in political science, in 1949. 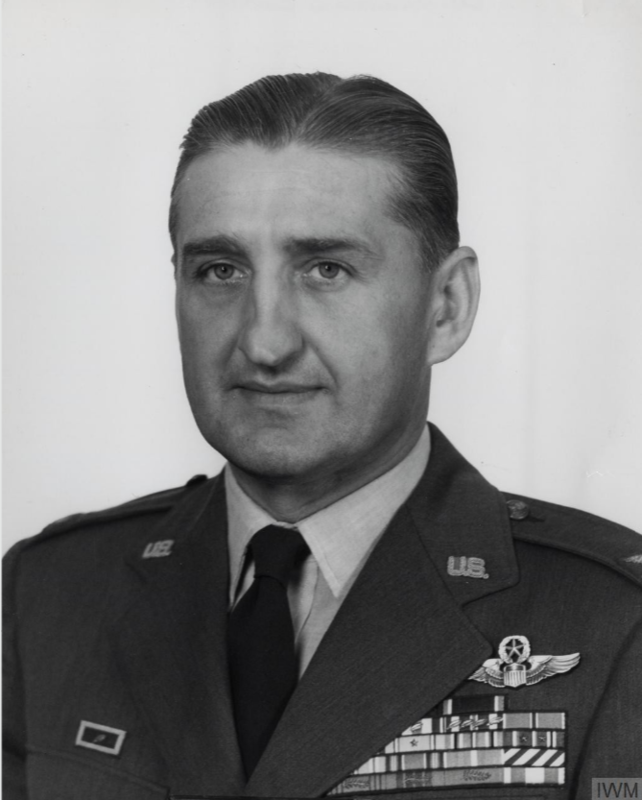 During the the Korean War, Lieutenant Colonel Gabreski served with the 4th Fighter Interceptor Wing and commanded the 51st Fighter Interceptor Wing. Between 8 July 1951 and 13 April 1952, he is credited with shooting down 6.5 Mikoyan-Gurevich MiG 15 fighters with North American Aviation F-86A and F-86E Sabres. (The “.5” represents credit shared with another pilot for one enemy airplane destroyed, 20 February 1952.) Gabreski flew 100 combat missions over Korea. 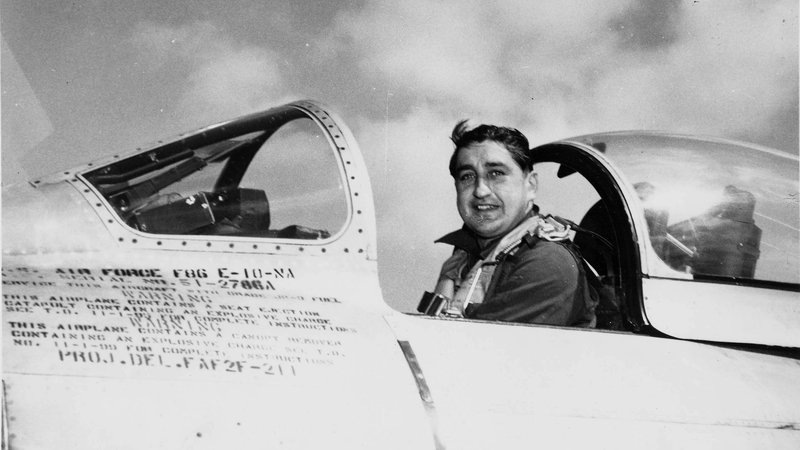 Colonel Gabreski in the cockpit of a North American Aviation F-86E Sabre, Korea, 1952. After an assignment as Chief of Combat Operations, Office of the Deputy Inspector General, at Norton Air Force Base in southern California, Colonel Gabreski attended the Air War College at Maxwell Air Force Base, Montgomery, Alabama. He was then assigned as Deputy Chief of Staff, Ninth Air Force. 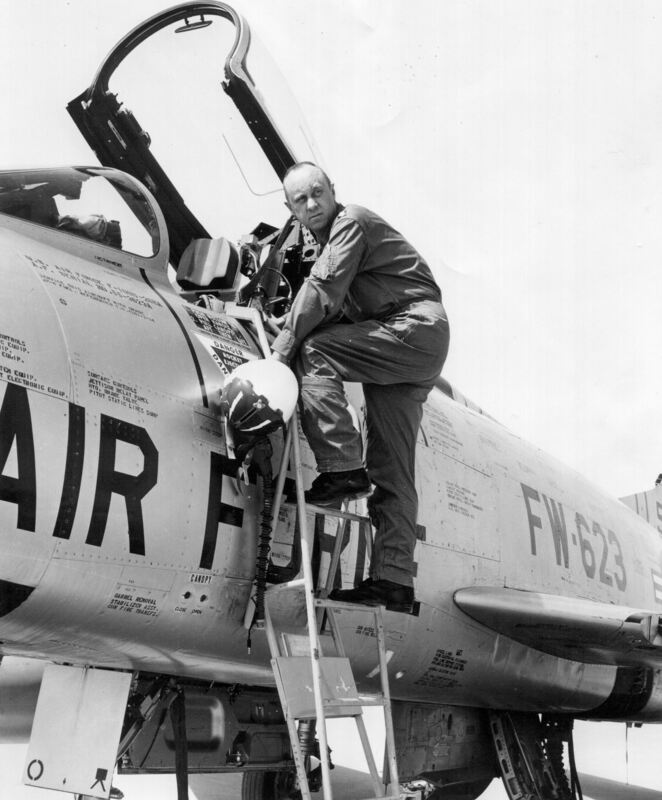 He went on to command two tactical fighter wings, the 354th and the 18th, flying North American Aviation F-100 Super Sabres. Colonel Gabreski’s final fighter command was the 52nd Fighter Wing (Air Defense) based at Suffolk County Airport, New York, which was equipped with the McDonnell F-101 Voodoo interceptor. Colonel Gabreski retired from the Air Force 1 November 1967 after 27 years of service and 37.5 enemy aircraft destroyed. At the time of his retirement, he had flown more combat missions than any other U.S. Air Force fighter pilot. 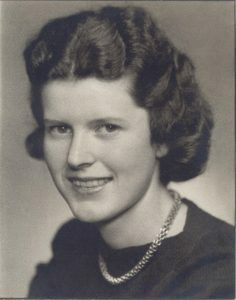 Gabby Gabreski married Miss Catherine Mary (“Kay”) Cochran, 11 June 1945, at Our Lady of the Angels Chapel, Campion College, Prairie du Chien, Wisconsin. They would have nine children. Two of their sons graduated from the United States Air Force Academy at Colorado Springs, Colorado, and became U.S. Air Force pilots. His daughter-in-law, Lieutenant General Terry L. Gabreski, USAF, was the highest-ranking woman in the United States Air Force at the time of her retirement. Mrs Gabreski died in a car accident in 1993. Colonel Gabreski was awarded the Distinguished Service Cross for his actions in combat on 26 November 1943, when he shot down two enemy Messerschmitt Bf 110 fighters. His other decorations include the Distinguished Service Medal, Silver Star with oak leaf cluster (two awards), Legion of Merit, Distinguished Flying Cross with two silver and bronze oak leaf clusters (thirteen awards), Bronze Star, Air Medal with one silver and one bronze oak leaf cluster (seven awards), and Prisoner of War Medal. He was awarded the Royal Air Force Distinguished Flying Cross, France’s Légion d’honneur and Croix de Guerre with Palm, Poland’s Krzyż Walecznych and the Belgian Croix de Guerre with Palm. In 1991, Suffolk County Airport, New York, was renamed Francis S. Gabreski Airport in his honor. Colonel Gabreski died 31 January 2002 at the age of 83 years. He is buried at Calverton National Cemetery, Long Island, New York. 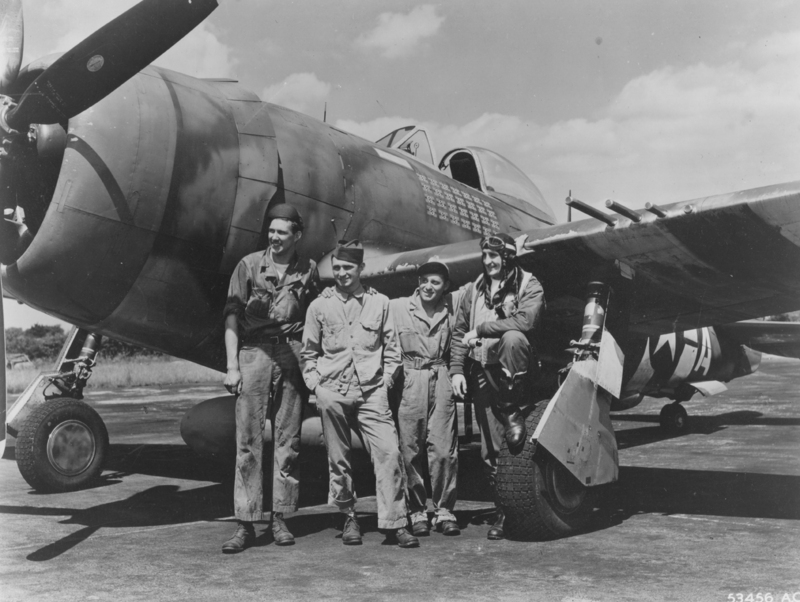 Because of the need to manufacture airplanes quickly and the close proximity to the Republic Aviation factory, active duty pilots were used for some of the test flights of the new P-47. On 13 November 1942, Lts. 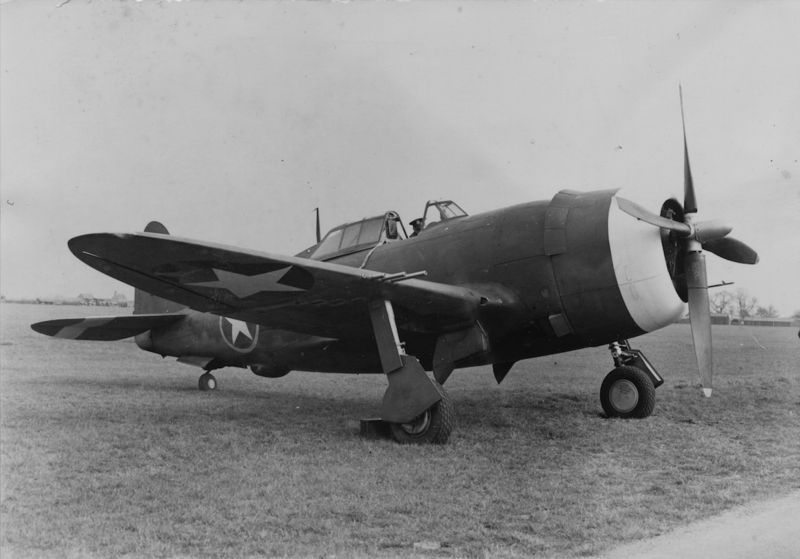 Comstock and Dyar were ordered to test a new type of radio antenna on the P-47C. Lt. Comstock climbed to an indicated altitude of 49,600 feet (15,118 meters) while trying to reach 50,000 feet. Due to poor response from the controls, he decided to let the aircraft fall off rather than risk a spin. He started to dive straight down and after passing below 40,000 feet he found that his controls had frozen. He then felt a bump and was unable to move the controls as the aircraft continued to dive. Even with maximum exertion, he was unable to move the control stick so he started to roll the trim tab back and after passing below 30,000 feet, the aircraft started to pull out of the dive and he recovered between 20,000 and 25,000 feet. Farmingdale, N.Y., Dec. 2. (AP)—How two Army lieutenants dived their Republic P-47 Thunderbolt fighter plane at a speed of 725 miles an hour—more than 12 miles a minute and faster than the high-altitude speed of sound—was disclosed today. The terrific speed—perhaps faster than any human being has traveled before—froze their control sticks, the pilots reported, causing them to resort to the use of emergency cranks to move the elevator tabs and pull their ships out of the dive. “My body was pushed back against the rear armor plate and I had a feeling that any second the plane was going to pull away from me and leave me stranded right there, five miles above the ground. It;s a breathless feeling, your stomach curls up; it’s something like stepping from a hot shower to a cold one,” Lieut. 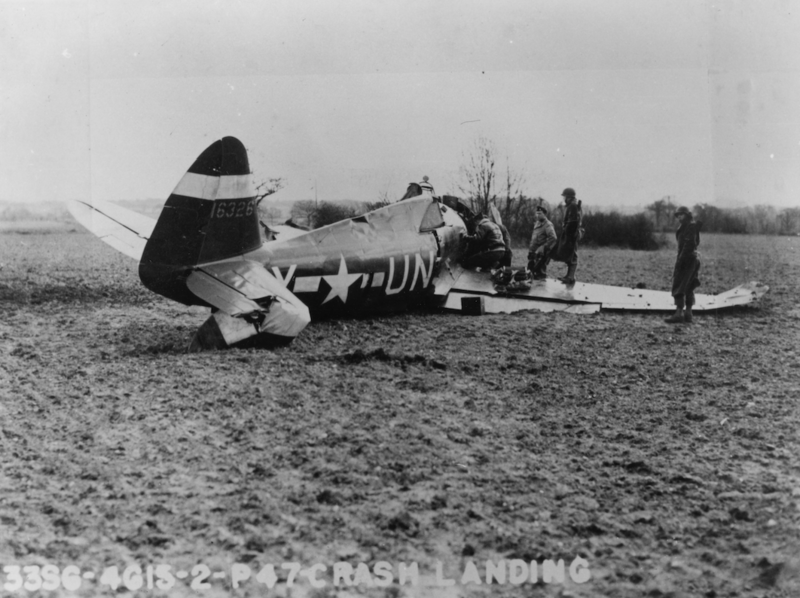 Roger Dyar, one of the pilots, said. Both pilots became air cadets in 1941. Lieut. Comstock is from Fresno, Cal., and Lieut. Dyar from Lowell, O. 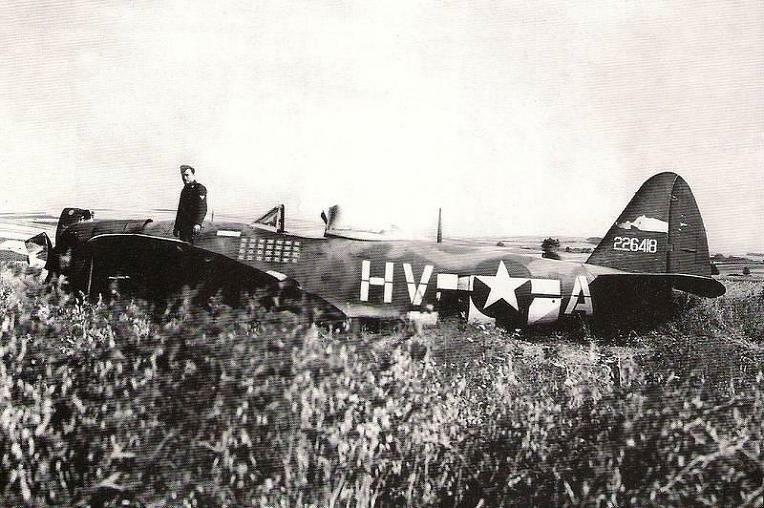 In July 1944 Major [Frederic Austin] Borsodi [Chief, Fighter Test Branch, Army Air Forces Material Command, Wright Field] made a number of full power vertical dives from 40,000 feet in a North American P-51D to assess the compressibility effects on the aircraft’s handling. He achieved a maximum Mach number of 0.86, at which point severe buffeting of the empennage was noted. . . many World War II pilots remained firmly convinced that they had taken their propeller-driven fighters supersonic in steep dives, often as local shock waves rattled their craft and caused the angle of those dives to become uncontrollably steeper. More often than not the center of lift moved aft on their wings, and Mach-induced turbulence blanketed the normal control surfaces on the tail. For the lucky ones, the descent into denser air slowed the airplane, while the higher temperatures at lower altitude meant that the Mach number for a given true airspeed was lower. Consequently, local shock waves tended to disappear. A normal recovery as from any steep dive, could usually be effected. . . the later [Supermarine] Spitfires, with a demonstrated ceiling of 45,000 feet, a much thinner wing of elliptical planform, and a lower profile liquid-cooled engine, could never register a maximum speed greater than 0.9 Mach number. That is the highest recorded speed, by a substantial margin of any propeller driven fighter. Oh yes, in the course of one such dive, on entering the denser air around 20,000 feet, the Spitfire’s propeller and much of the engine cowling parted company with the rest of the aircraft. Getting to 0.90 Mach number wasn’t easy. . . the speed of sound at sea level and 59° Fahrenheit is 761 miles per hour. At an altitude of 40,000 feet, where our standard atmosphere charts tell us that the temperature is -67° Fahrenheit, sound travels at 662 miles per hour. 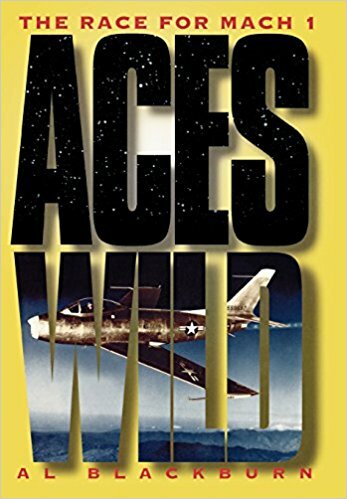 — Aces Wild: The Race For Mach 1, by Al Blackburn, Scholarly Resources, Inc., Wilmington, Delaware, at Pages 6–7, 24–27. Harold E. Comstock, circa 1940. Harold Elwood Comstock was born 20 December 1920 at Fresno, California. He was the son of Clinton Elwood Comstock, a telephone company repairman, and Leona M. Sutherland Comstock. He graduated from Roosevelt High School in Fresno, in February 1939. Comstock then entered Fresno State College. He was a member of the F.S.C. Pilots Club and the Aero Mechanics Club. Harold Comstock was appointed an Aviation Cadet, Air Corps, Army of the United States (A.U.S. ), 10 October 1941. He was 5 feet, 10 inches (1.78 meters) tall and weighed 149 pounds (67.6 kilograms). After completing flight training, on 3 July 1942 Comstock was commissioned as a second lieutenant, Air Reserve. 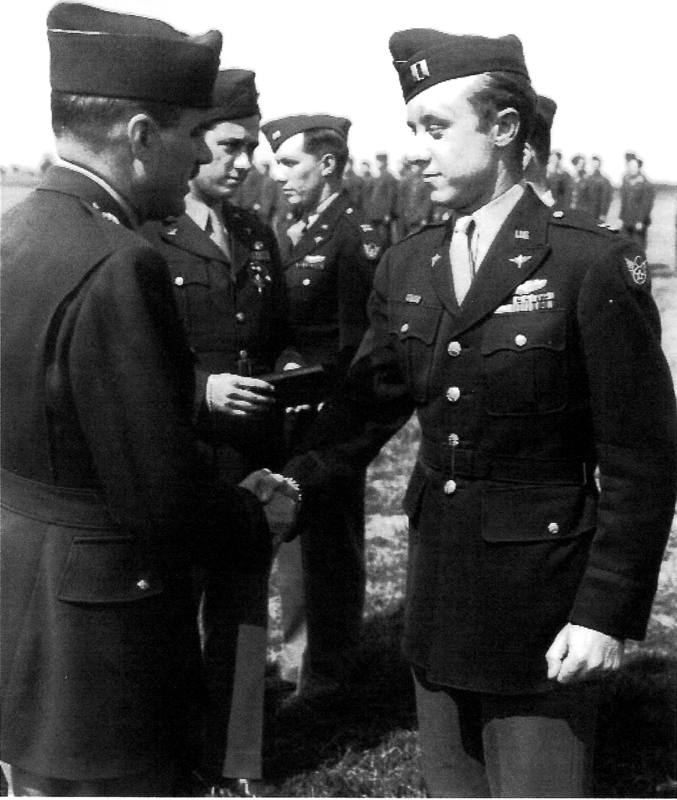 Comstock was promoted to first lieutenant, A.U.S., 29 May 1943. Lieutenant Comstock advanced to the rank of captain, A.U.S., on 12 March 1944, and to major, A.U.S., 17 September 1944. On 3 July 1945, Major Comstock’s permanent Air-Reserve rank was advanced to first lieutenant. 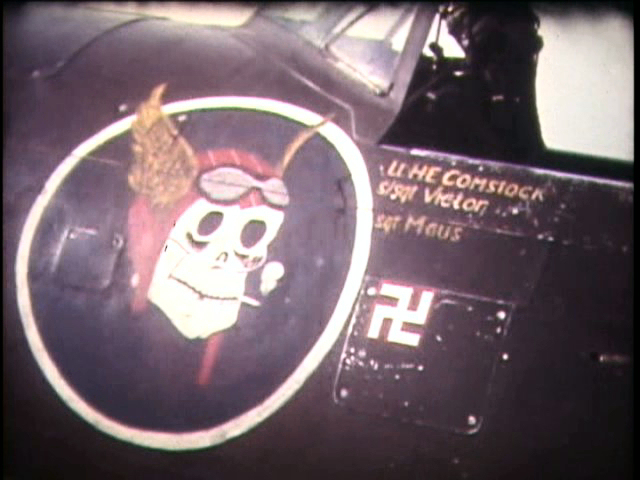 Harold Comstock flew two combat tours in Europe with the 56th Fighter Group during World War II. He completed his second tour as commanding officer of the group’s 63rd Fighter Squadron. He flew 138 combat missions and is officially credited with destroying 5 enemy aircraft in aerial combat, with 2 probably destroyed and 3 damaged, and another 3 destroyed on the ground. 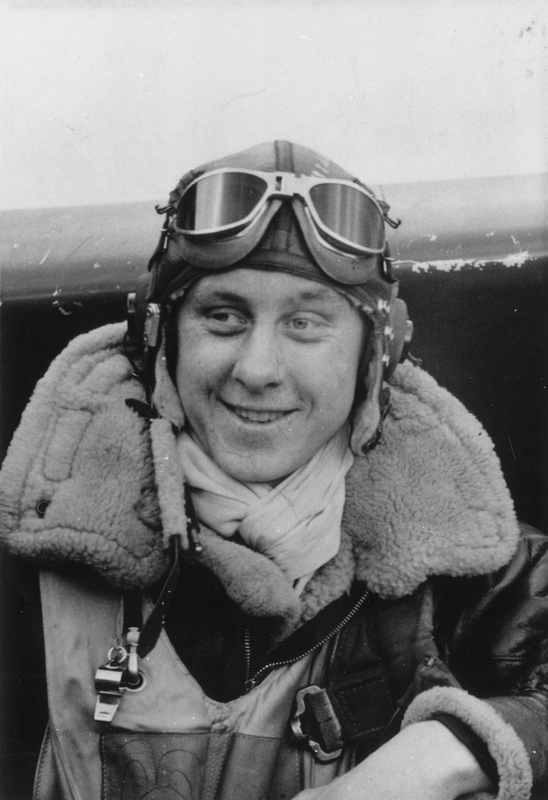 During his World War II service, Major Comstock was awarded the Distinguished Flying Cross with three oak leaf clusters (four awards); the Air Medal with 11 oak leaf clusters (12 awards) and the Purple Heart. Miss Barbara Lucille Joint, circa 1940. 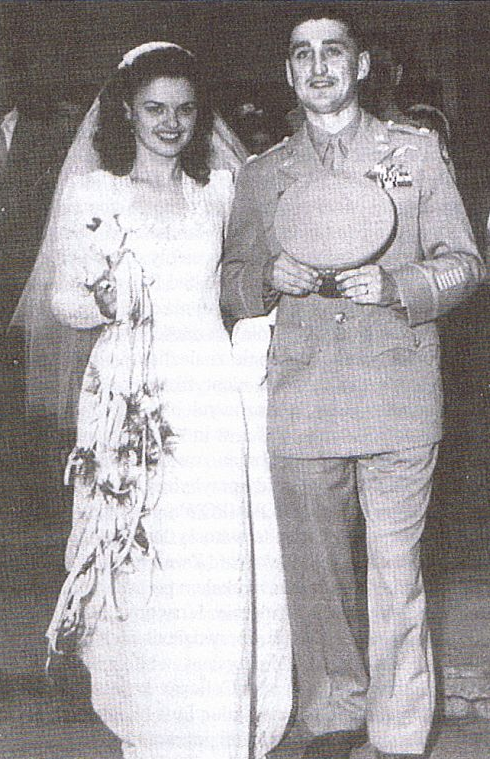 Lieutenant Comstock married Miss Barbara Lucille Joint, also from Fresno, 10 June 1942 at Bridge City, Texas. They would have two children, Harold Eric Comstock, and Roger Joseph Comstock. During the Vietnam War, Lieutenant Colonel Comstock commanded the 481st Tactical Fighter Squadron, 27th Tactical Fighter Wing from 1965 to 1968. He flew another 132 combat missions in the North American Aviation F-100D Super Sabre, and 38 as commander of an airborne command and control unit of the 7th Airborne Command and Control Squadron. Colonel Comstock’s final assignment was as commanding officer, 602nd Tactical Control Group, Bergrstom Air Force Base, southeast of Austin, Texas. Colonel Comstock retired from the Air Force on 30 September 1971. He was twice awarded the Legion of Merit, and he held the Distinguished Flying Cross with six oak leaf clusters, a Purple Heart, and 17 Air Medals. Harold E. Comstock died at Clovis, California in 2009 at the age of 88 years. He was buried at Fresno Memorial Gardens, Fresno, California. 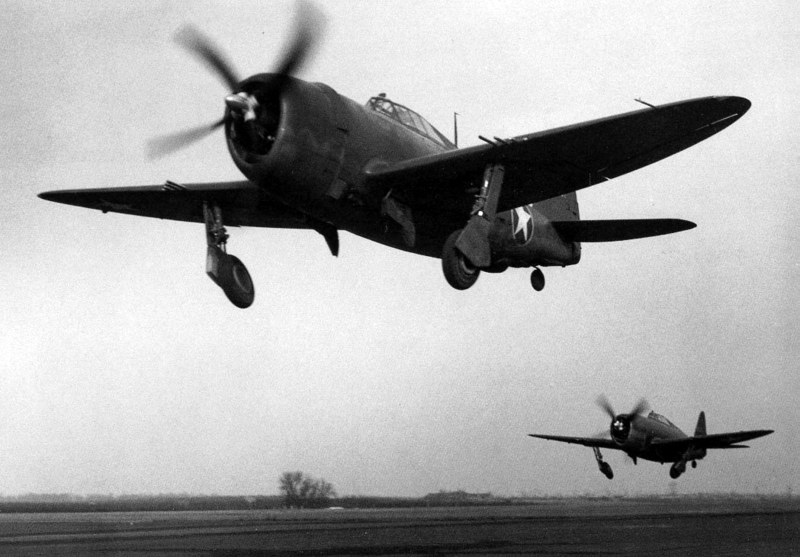 The Republic P-47 Thunderbolt was the largest single-engine fighter that had yet been built. The first P-47C variant was completed 14 September 1942, only one month before Bunny Comstock’s famous dive. 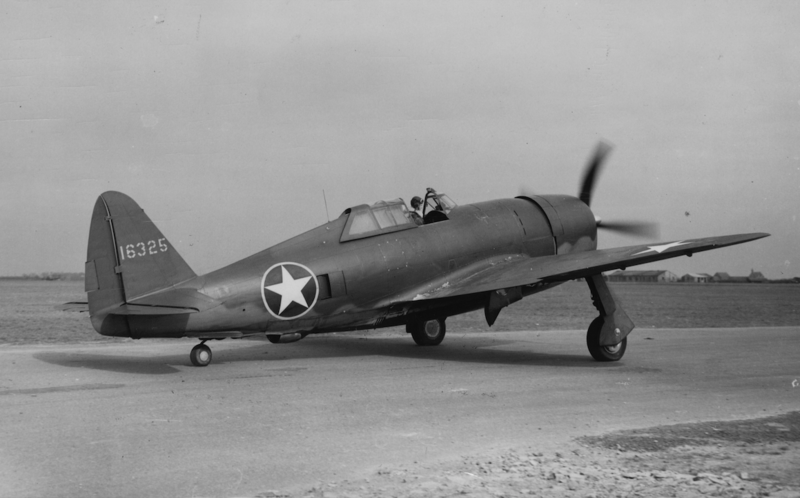 An early change (P-47C-1) was the addition of 8 inches (0.203 meters) to the forward fuselage for improved handling. 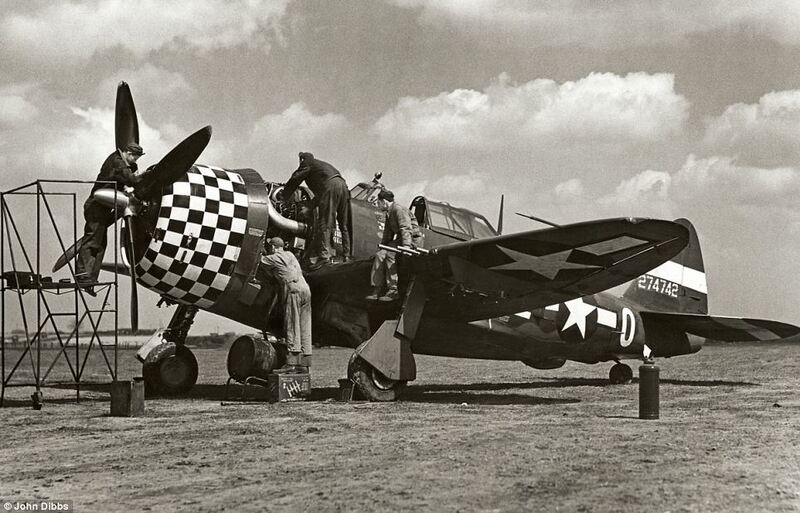 The P-47C-5-RE was 36 feet, 1-3/16 inches (11.003 meters) long with a wingspan of 40 feet, 9-5/16 inches (12.429 meters) The overall height was 14 feet 3-5/16 inches (4.351 meters). The fighter’s empty weight was 9,900 pounds (4,490.6 kilograms) and maximum gross weight was 14,925 pounds (6,769.9 kilograms). 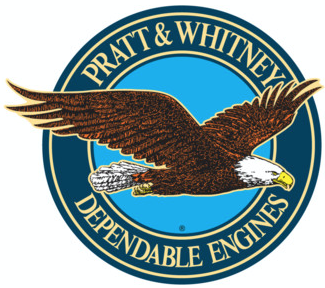 The P-47C was powered by an air-cooled, supercharged, 2,804.4-cubic-inch-displacement (45.956 liter) Pratt & Whitney Double Wasp TSB1-G (R-2800-21) two-row, 18-cylinder radial engine with a compression ratio of 6.65:1. 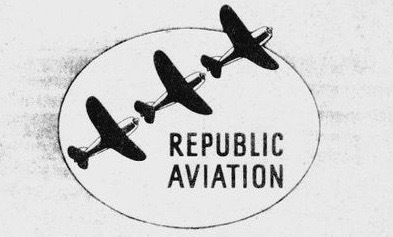 The R-2800-21 had a Normal Power rating of 1,625 horsepower at 2,550 r.p.m. to 25,000 feet (7,620 meters) and a Takeoff/Military Power rating of 2,000 horsepower at 2,700 r.p.m. to an altitude of 25,000 feet (7,620 meters). A large General Electric turbosupercharger was mounted in the rear of the fuselage. Internal ducts carried exhaust gases from the engine to drive the turbocharger and the supercharged air was then carried forward to supply the engine. The engine drove a 12 foot, 2 inch (3.708 meter) diameter four-bladed Curtiss Electric propeller through a 2:1 gear reduction. The R-2800-21 was 6 feet, 3.72 inches (1.923 meters) long, 4 feet, 4.50 inches (1.340 meters) in diameter, and weighed 2,265 pounds (1,027 kilograms). Approximately 80% of these engines were produced by the Ford Motor Company. It was also used as a commercial aircraft engine, with optional propeller gear reduction ratios. The P-47C had a maximum speed in level flight of 433 miles per hour (697 kilometers per hour) at 30,000 feet (9,144 meters). The service ceiling was 42,000 feet (12,802 meters), and it could climb to 15,000 feet (4,572 meters) in 7 minutes, 12 seconds. It had a maximum range of 1,250 miles (2,012 kilometers) with external fuel tanks. The Thunderbolt was armed with eight Browning AN-M2 .50-caliber machine guns, four in each wing, with 3,400 rounds of ammunition. It could also carry external fuel tanks, rockets and bombs. 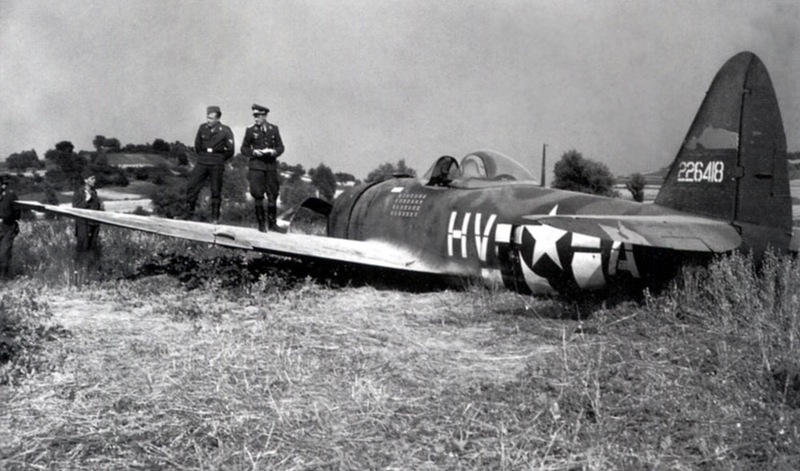 The structure of the P-47 could be described as “robust” and it was heavily armored. 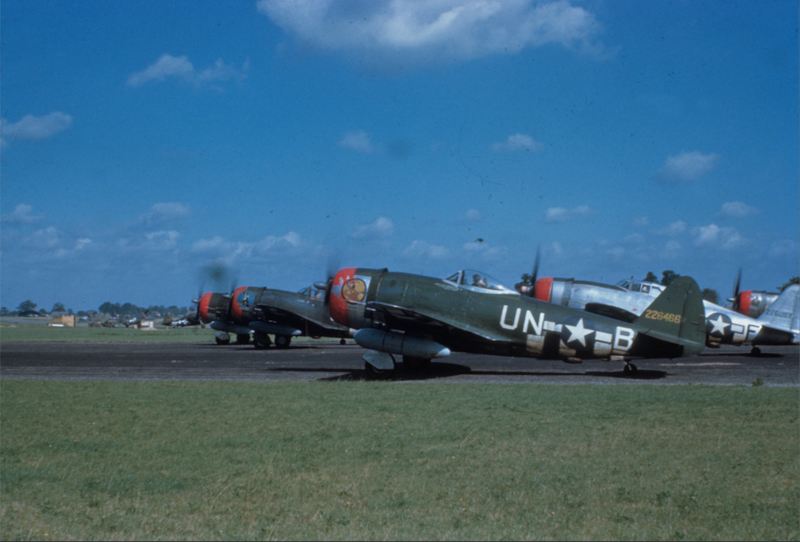 602 P-47Cs were built in the five months before the P-47D entered production. 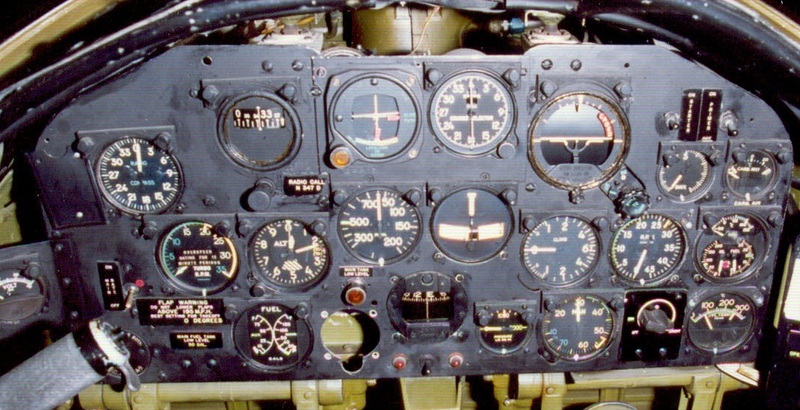 A total of 15,683 Thunderbolts were built; more than any other Allied fighter type. In aerial combat it had a kill-to-loss ratio of 4.6:1. The amount of damage that the airplane could absorb and still return was remarkable. 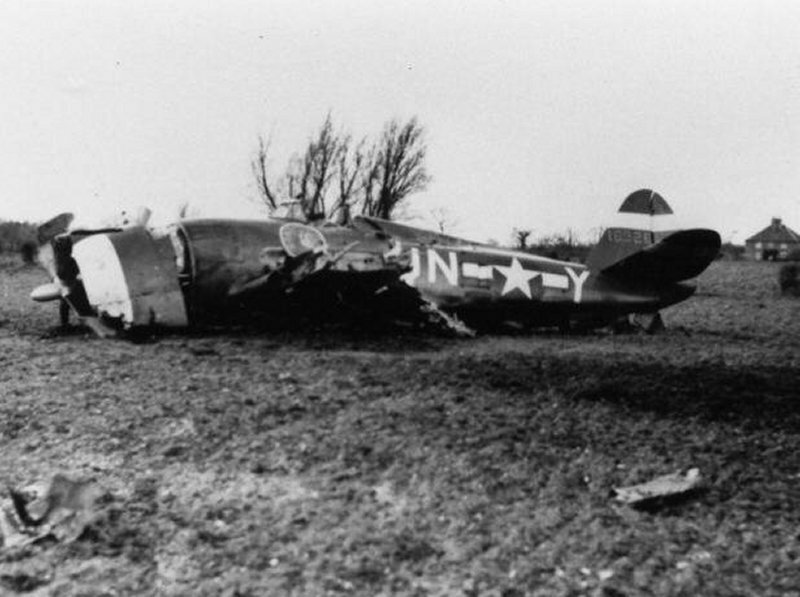 The P-47, though, really made its name as a ground attack fighter, destroying aircraft, locomotives, rail cars, and tanks by the many thousands. It was one of the most successful aircraft of World War II.